Pot Bellied Pig is a breed of domesticated pig originating in Vietnam. Because pot-bellied pigs are the same species as ordinary farmyard pigs and wild boars, they are capable of interbreeding. 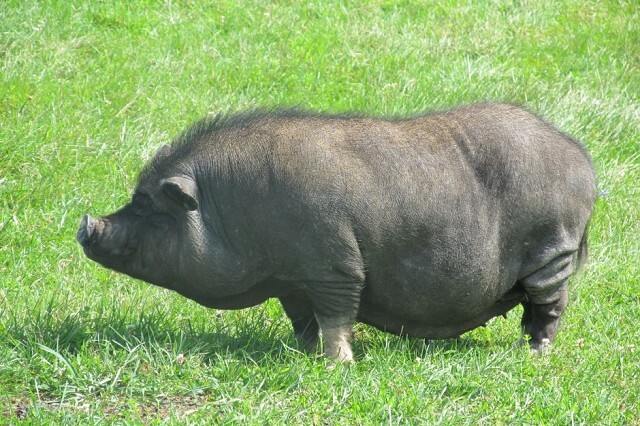 Most pot-bellied pigs have been crossed with various farm pig breeds. Considerably smaller than standard American or European farm pigs, they weigh 43 to 136 kg (100 to 300 lb). Often, these pigs are kept as a pet. Unfortunately, they have been abandoned when owners discover that these pigs actually grow to larger sizes and require more care than they believed.